Are you music festival bound this year? With lineups including acts like AC/DC, Drake and Florence and the Machine plus a host of other amazing talent rocking the weekend, we should all be going, even if it’s only in spirit. 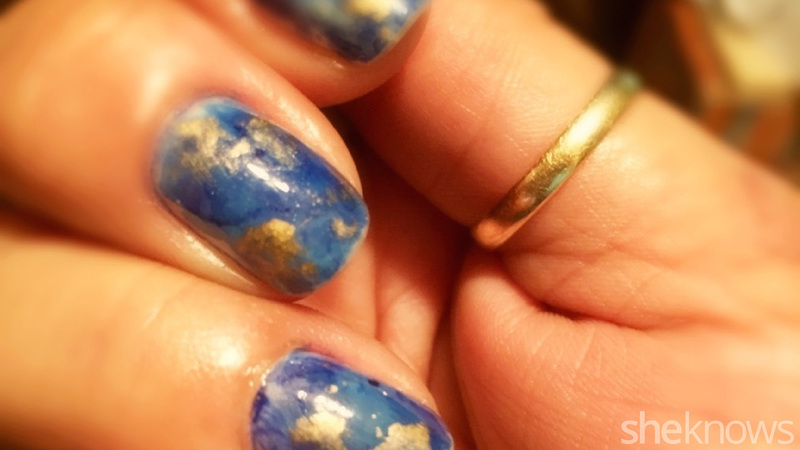 While you’re at it, why not rock your nails out, too? 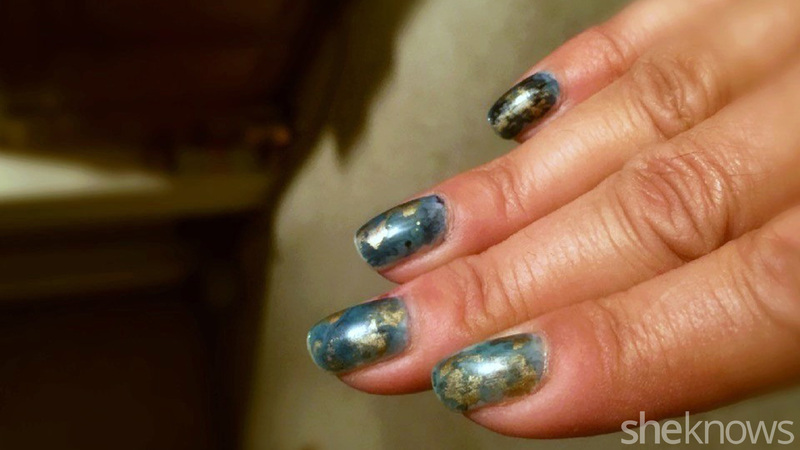 I’ve been experimenting with alcohol ink nail art lately and it is pretty badass. The designs are endless! This time I chose blue, white and gold ink. The results left my nails looking like shiny lapis stones. Alcohol inks (brands: Adirondack or Piñata); I used Piñata. Paint nails white and let dry. I chose Essie’s Blanc. You can also use a white gel (cure and wipe off tacky residue). Using sponge piece, dip into desired ink color and dab on nail. You can apply as much as you want (not too dark; you can always apply more as you go). Using a fresh sponge piece, dip sponge in isopropyl alcohol (soak it well), dab onto the color you have just applied and watch it start to run. You can re-apply color ink and alcohol as much as you like until you are happy with the pattern you have created. Remember: There is no right or wrong. Art happens! Once you are satisfied with your new creation, apply top coat (gel or polish). Now you’re ready to rock it out, festival style.